What is the best medicine? Laugh, kisses, hugs, cuddles, music, love, care, relationship, exercise, prayers! 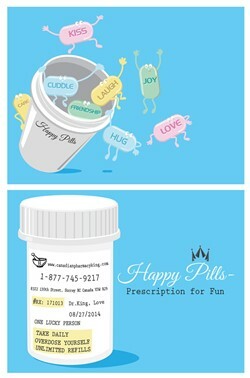 Canadian Pharmacy King aims to provide the greatest medicine of obtaining joy and happiness together. Comment here and vote for your best RX. For people all across the world, shopping is not only an occasional outing, but a daily necessity. From groceries, to clothing, to our daily needs, you probably can't go a week without shopping. But for some, shopping is more than just a way to keep their bellies full. It can become a serious disorder that can leave a person in personal and financial ruins. 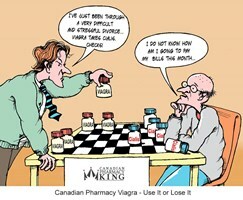 Many people are on medications for conditions that can be remedied with a refinement of their diet. 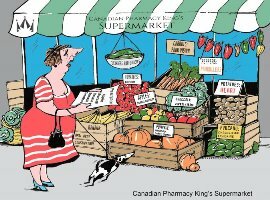 Canadian Pharmacy King offers not only prescription drugs but also provides useful health care and dieting tips via interesting articles and comics. 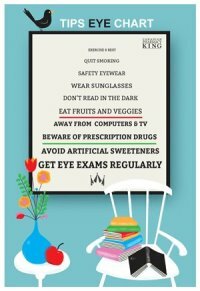 Remember, that right healthy food can be as effective as prescription medicine.